A mystery almost 70 years in the making was solved when a lost drawing by Gustav Klimt was returned to the Lentos Museum in Linz, Austria, after the death of a former secretary who turns out to have stolen it decades ago. 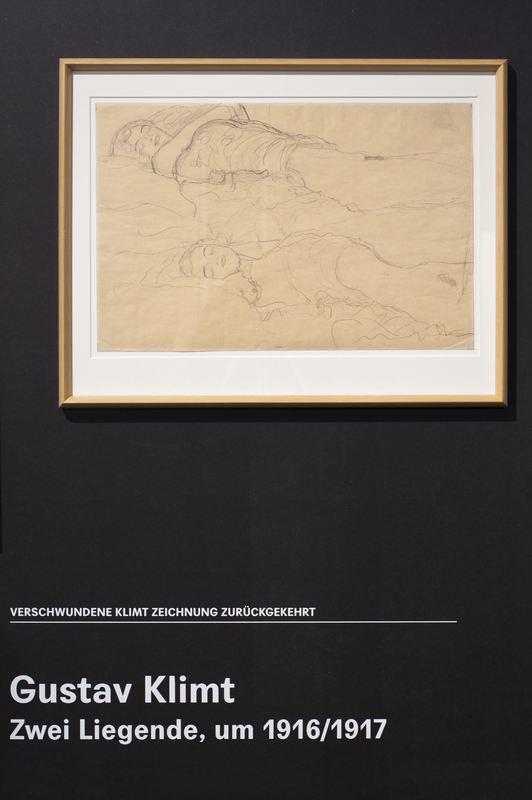 The sensual drawing of two women, Zwei Liegende (“Two Reclining Figures”), was one of four loaned to the museum (then the Neue Galerie der Stadt Linz) by Linz-born artist Olga Jäger in 1951. The other three were pieces by Egon Schiele. In 1964 it was loaned to the Albertina Museum in Vienna and returned without incident. That is the last mention of the four loaned works on the historical record. Olga Jäger died in 1965 and it seemed the disappearance of the drawing might fly under the radar forever, but in 1990 Olga’s niece-in-law, wife of nephew Kurt Jäger, sent the museum a letter asking that the loaned works be returned. Museum staff looked for the art in their own stores and in other city and regional collections, but came up empty. The niece’s sons pressed the case in 2006 and again a thorough search was fruitless. In 2011, the Jäger descendants sued the City of Linz and were awarded damages in the amount of €100,000 ($124,000) for the loss of one of the Schiele works (“Paar”). Damages got even more damaging in 2017, when the Linz Regional Court ordered the city to pay the Jägers €8.21 million (about $10 million) for the other three. The Klimt drawing was the least costly of them, assessed at €100,000. This January, the Klimt was returned to the museum out of the blue. It was delivered by a lawyer who explained his client, said former secretary, has died in December and left explicit instructions in her will to recover the work from her closet and give it back to the city. But how did the Klimt drawing end up in a closet? According to [Julius Stieber, the director of culture and education for the City of Linz], the secretary’s will said that in 1964, she noticed some irregularities with the documentation of the Schiele pictures after a loan to the Albertina Museum in Vienna, and notified the Neue Galerie’s then-director, Walter Kasten. Mr. Kasten told her to keep the irregularities quiet and gave her the Klimt drawing as “hush art,” Mr. Steiber said, further describing the will’s account of the events. “For years the Klimt hung in her apartment, but when the Jäger case became public, she hid it in her wardrobe,” Mr. Stieber said. “It’s like a thriller,” Klaus Luger, the mayor of Linz, said in a news conference on Tuesday. The secretary has not been named for legal reasons. The three Schiele pieces are still missing and there is no evidence she was involved in their loss. Was Kasten handing out art like candy to cover his tracks? The police investigation is ongoing. Meanwhile, the discovery of the 1990 letter, which had also fallen through the museum’s cracks, has led to a reopening of the court case. It could be pivotal in determining whether the heirs waited too long to pursue their case. The statute of limitations may have run out. 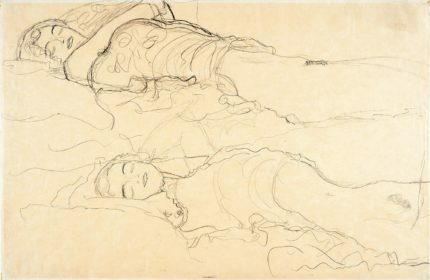 The drawing is now on display in the 1918 – Klimt – Moser – Schiele exhibition at the Lentos Museum. It runs through May 21st, 2018. After it closes, the drawing will be returned to the Jäger family as long as they repay the €100,000 the museum paid them for it.